Designed to protect your lens while using it. Functional in all situations, whether it is an intensive hiking experience, a studio shoot or at home photography: your lens will be protected against bumps and scratches. Included are a lens Ring and a Lens Bumper. 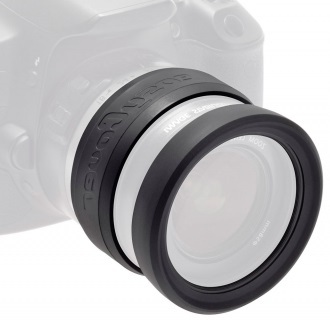 The Lens Ring is flexible and stretchy. The Lens Bumper is specifically manufactured per diameter size: 52mm, 58mm, 62mm, 67mm, 72mm and 77mm. Available in black / red / yellow / camouflage. 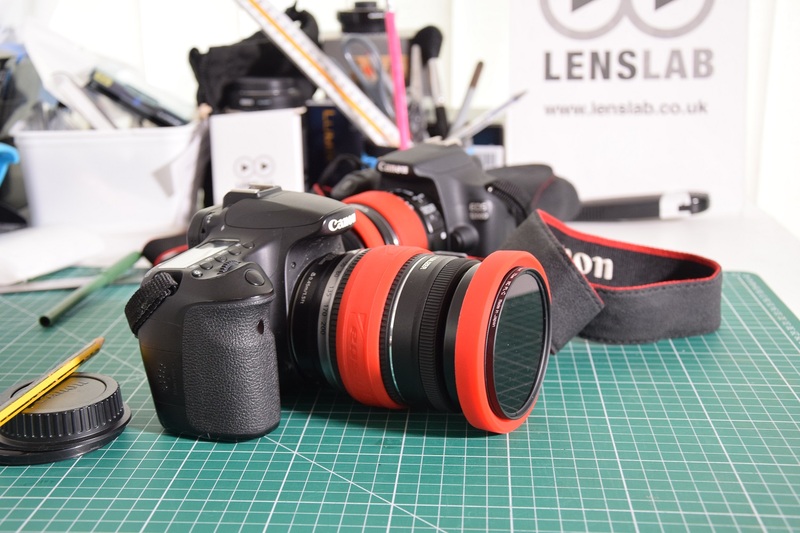 The Lens Rim screws into the lens thread so its possible to use with filters that have threads and it wont stop you using the lens cap as per normal.